Happy Holidays to all VapeSlingers and Vape community! Our last CTA page for the year 2017. We hope you have found this page helpful. Please let us know. We welcome feedback on CTA and/or VapeSling® products. 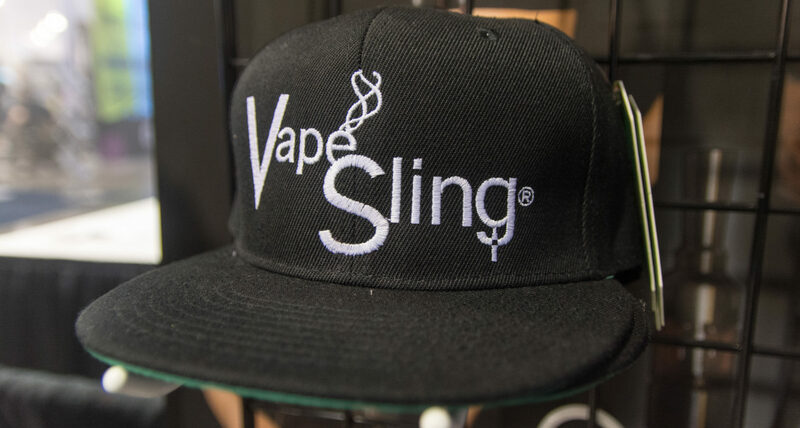 Reach us anytime on the contact page or custinput@vapesling.com, or vapersarmy@vapesling.com. Today, Congress will consider a continuing resolution (CR) that will fund the US government through January 19, 2018. Although this CR will not contain changes to the appropriations language that addresses vapor products regulation, it is an important opportunity to send a message to Congress that we are still here and that predicate date change language must be included in the 2018 budget. Sending this message to Congress is even more important now in the wake of rogue efforts by some in the industry who don’t understand the need to modernize the 2007 predicate date. Their fundamental misunderstanding of the Cole-Bishop language in the appropriations bill (Sec. 753) is creating confusion among our supporters and eroding relationships that have taken years to build. Help us show Congress that we are unified in our support for changing the predicate date to August 8th, 2016 and that we are in favor of reasonable regulation that preserves consumer choice. In 2013, when I made the switch from smoking to vaping, I took the first $80 I didn’t spend on a carton of cigarettes and made a donation to CASAA. Today, I’ve donated a similar amount through #VapesGiving that I’ve saved by not smoking this week. Even though #VapesGiving is focused on encouraging industry stakeholders to step up to the plate (i.e., “Manufacturer & Distributor Challenge”), anyone can contribute. As an added incentive, Naked 100 is matching donations dollar-for-dollar up to $190,000. That means your contribution will be DOUBLED! $5 = $10 | $25 = $50 | $50 = $100! Every little bit makes a huge difference for CASAA, AVA, and the more than 20 state association participating in the VapesGiving event. If everyone who receives this email contributes just $2 through #VapesGiving, we can raise more than a quarter-million dollars for advocacy efforts across the country! Please join me by contributing even the one or two dollars you saved today by not smoking. Staples, MN – Stop an Indoor Vaping Ban! Today, leaders of the vapor community came together to present a unified front on the next steps for moving our agenda forward in Washington, D.C. The Unity Letter, signed by the leaders of the American Vaping Association, the Consumers for Smoke-free Alternatives Association, the Smoke Free Alternatives Trade Association and the Vapor Technology Association asks every member of the vapor industry and broader community to get ready to act! We write you today as a united front because the vapor industry is under attack and the future remains uncertain. We are all focused on the critical mission of making sure that Americans will continue to have access to the full range of vapor products that millions are using to quit smoking and improve our lives. We need your help to achieve this mission. We all agree that there are short term and long term policy changes that must be made to ensure a robust vapor product industry in this country, but we are focused today on a near term step – Changing the “Predicate Date” in Congress – which will allow all products on the market before 8/8/2016 to stay on the market and remain available to consumers. The US House of Representatives has passed an appropriations bill which contains language that would modernize the 2007 predicate date for products newly deemed to be tobacco. But the Senate has not included similar language in its version of the bill. These two conflicting pieces of legislation will be negotiated in Congress in the near future, and we are going to need EVERYONE to weigh in! In the coming days and weeks, we will be reaching out to our respective members with additional opportunities and guidance on how you can engage with your two Senators and your Representative and urge them to modernize the predicate date for vapor products. We hope that when we call on you, you will take a few minutes to ACT to save the vapor industry. DOWNLOAD THE UNITY LETTER HERE! Your voice matters. Even if you have already reached out to your Members of Congress to Stop the Vape Ban, today is a perfect day to reinforce your previous message! An email to your members of Congress is great – but a social media post may be even better! Elected officials pay attention to their constituents’ social media posts and comments. ACT NOW by tweeting your legislators! We have made it easy for you to contact your Members of Congress via our website. Let them know you want to stop the virtual vape ban. The FDA deadline delays don’t stop – but merely delay many vape products potentially being pulled from the shelves. Visit the Stop The Vape Ban site now and let your Members of Congress know TODAY how important this issue is to you by tweeting them or sending an e-mail! NY – Long Beach – Stop Tobacco 21! TX – San Antonio – Stop Tobacco (and Vapor) 21! NY – Rensselaer Co. – Stop tobacco (and Vapor) 21! Mundelein, IL – Stop Tobacco (and Vapor) 21!